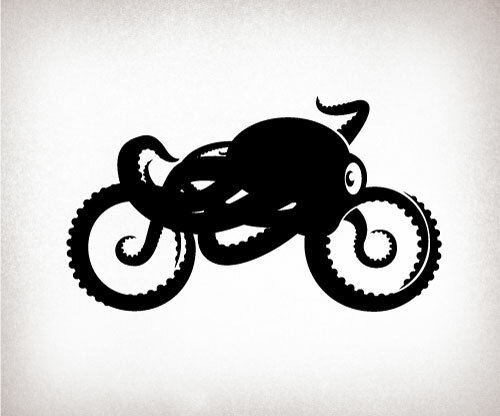 I was commissioned to create an octopus-themed icon/logo for a motorcycle shop (just a coincidence that I just redid the jeffective logo with an octopus theme). While they decided not to use the motorcycle shaped octopus for their official icon they are having it put across the wall of the garage. I love that the tread is the suctions. Way cool.